The Original Craft Beer Club sends craft brews from around the country. Each month, they send a selection of different beers and information about the breweries behind them. 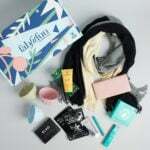 Coupon: Receive up to 3 bonus gifts with your first shipment! No coupon needed – link here to sign-up and learn more about the gifts. There are two info sheets in this box—one for each region represented. The first one covers the Pennsylvanian beers, while the second talks about the Texan brews in the box. I like how they include a recipe to pair with the beers from each state! There were also some coasters in the box. 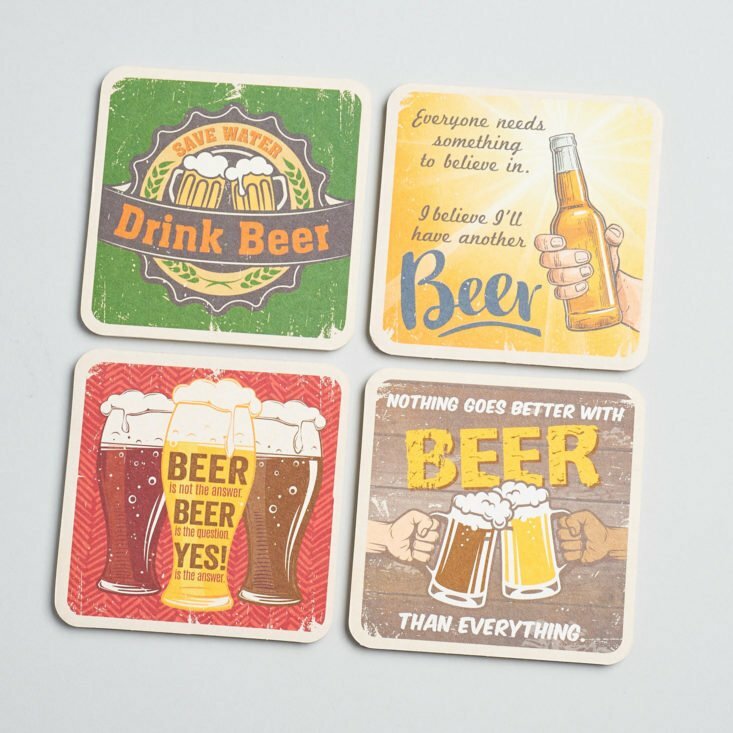 They’re just paper/cardboard, so they may not have as much staying power as the fabric ones I keep by our coffee table, but in my experience, there’s no such thing as having too many coasters. These will be handy when we have folks over for a party. The last bits of ephemera in the box are a promo card for Mantry and a welcome card from the subscription company. 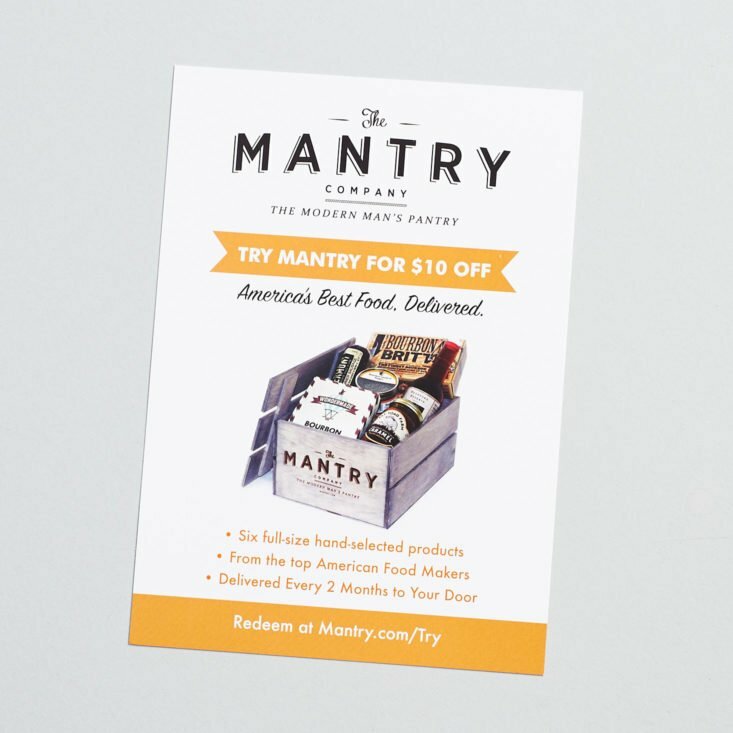 Check out our Mantry reviews to learn more! Let’s cover the two Pennsylvanian beers first. I was SUPER curious about this first beer. I’m not opposed to richer, almost desserty flavors (chocolate, coffee, etc.) appearing in darker beers, but I was unfamiliar with the idea of something like peanut butter appearing in the profile of a lighter beer like a Hefeweizen. The peanut butter flavor is unmissable—it’s unique, for sure. I usually reach for wheat beers when I want something crisp and refreshing, and I’m not sure the savory peanut butter note adds to that experience for me. So it’s maybe not my fave, but I did find it fun to try. I’m not wild about the label on this one (personally, it feels kind of tacky…) but the flavor of this blonde ale is very nice. It’s more of the smooth, refreshing kind of wheat beer that I would buy for myself. I’m not the biggest fan of hops, so I like that there isn’t any hoppiness to contend with here. It’s actually a nice, classy beer. Here’s another deliciously refreshing, non-hoppy beer! 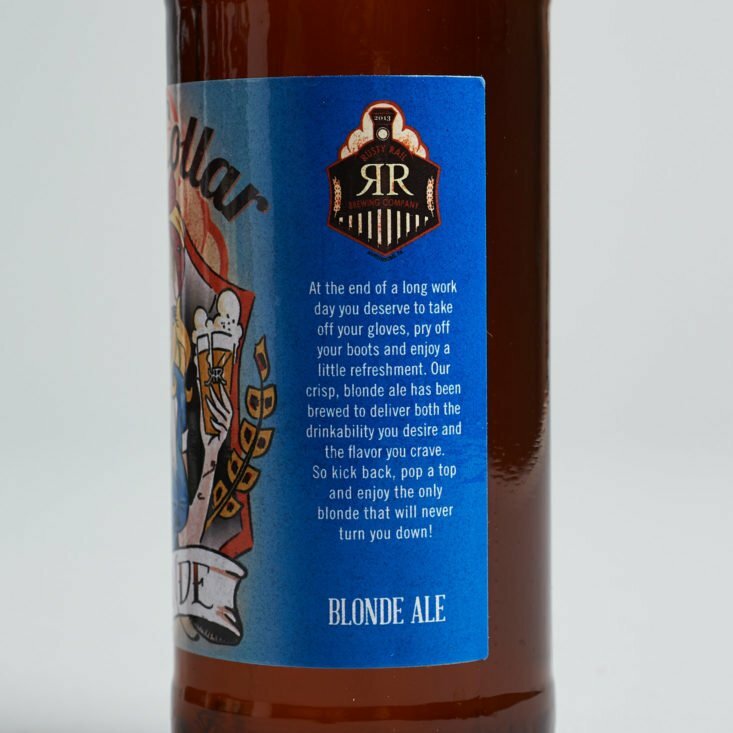 This beer tasted a little richer in flavor than the blonde. It’s the kind of thing I could see pulling out of a cooler at a backyard party. It’s friendly, familiar, and just flavorful enough without getting in your face. A true crowdpleaser. While hoppy beers like this IPA aren’t my favorite, I do appreciate that they included some in this mix of bottles. (My partner is a fan of IPAs now and then, so I suspect he’ll drink these!) It’s a bit too bitter for my tastes, but there’s a hint of lemony freshness that I could see being appealing on a hot late summer night. Verdict: I liked getting to know small breweries and their beers via this service! Even if the flavors weren’t my cup of tea (er… beer, I guess) I appreciated that the brands were something I couldn’t find at my local distributor. I also like that there are recipes and food pairings for each bottle, too. I’m not suuuper well-versed in beer, so it’s nice to know the kinds of things that will bring out the best in these brews. I’m dog-earing this subscription box as a potential holiday gift for some beer-loving couples I know! If the option selected at checkout is “ASAP”, we strive to have the first delivery arrive within 10-15 business days (M-F), so long as there aren’t any issues with the payment or delivery address. If you choose a specific month as the “start month”, the purchase will be charged to your credit card during the first week of the desired start month, and will arrive within 10-15 business days thereafter. All subsequent craft beer shipments in a gift series will be processed in the middle of the month and will go out for delivery the final two weeks of each month, depending on your location relative to our shipping facility. Shipments can arrive as early as the 16th, and as late as the 30th. 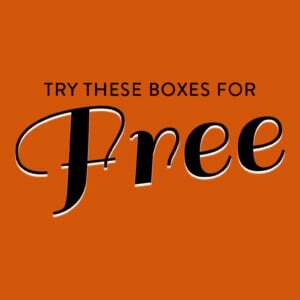 We do not guarantee specific delivery days of the week, calender dates, or charge dates. We do try to process your order and time your deliveries to arrive around the same time of the month. 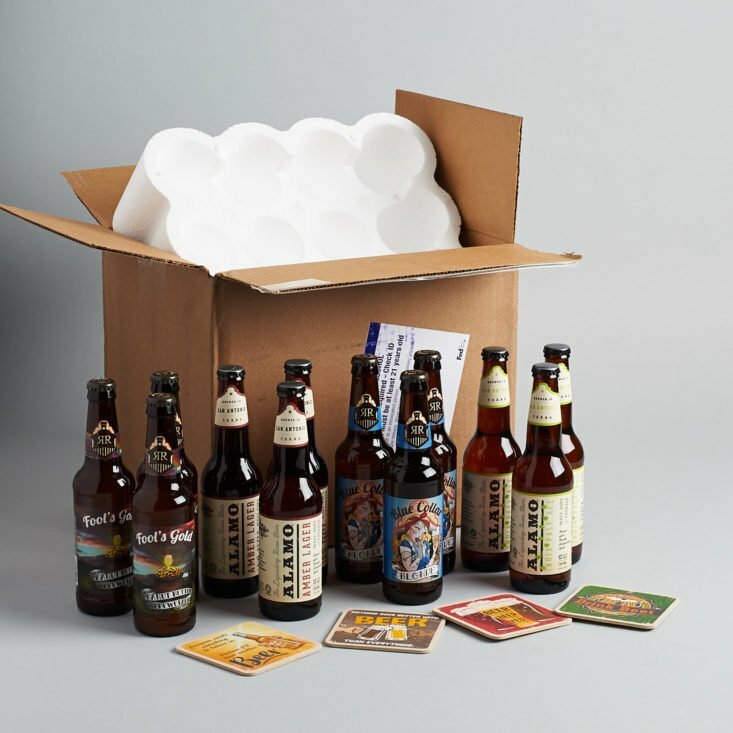 Value Breakdown: This box costs $42 + free shipping, which means that each of the 12 beers in the box has an average cost of $3.50.